"high load bearing capacity" and high sealability with improved blow-out resistance. temperature applications up to 500'C. A sealing material based on graphite and synthetic fibres with a wire insert that provides this material with totally new, previously unachievable properties. other applications up to 500'C. 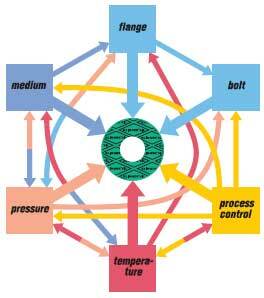 The successful operation of a gasket depends upon a multiplicity of factors. these values for gasket material is not possible. So why does Klinger provide pT diagrams? taken into account in every case. 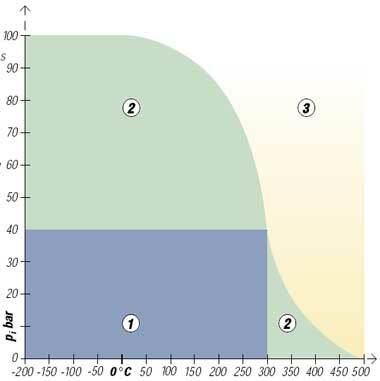 ambient temperature of 23°C and at heating up to 300°C is measured. 1.5 mm, 3.0 mm, other thicknesses on request. The surface finish of the material is such that it has an extremely low adhesion to the flange faces. can, however, vouch for the excellent quality of our products. Tests and approvals BS 7531 grade X.